WATER MIST – Is the ultimate extinguisher for class A fires, especially where a potential Class C (electrical) hazard exists. The fine spray from the unique misting nozzle provides safety from electrical shock, greatly enhances the cooling and soaking characteristics of the agent and reduces scattering of the burning materials. 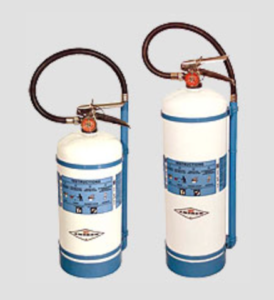 Unequivocally the best extinguisher for hospital environments, telecommunications facilities and “clean room” manufacturing facilities.